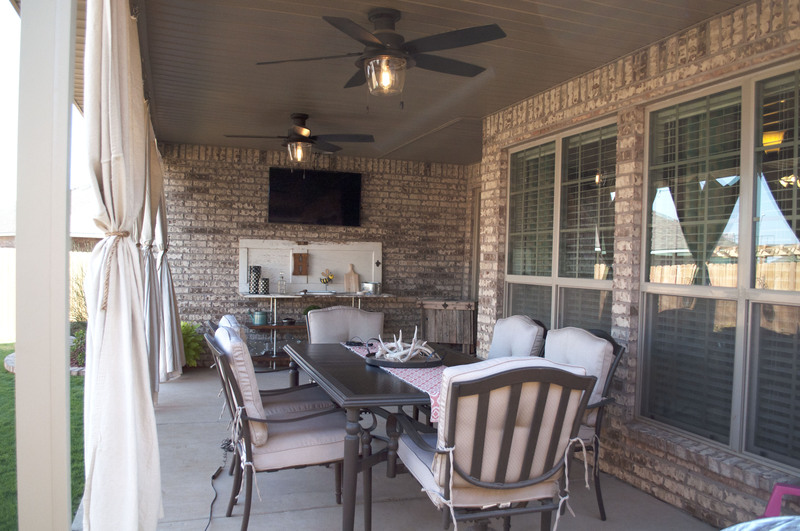 Recently, one of our Midland homeowner’s back patio was featured on CBS 7’s Studio 7 show! Amy has created not only an inviting, but a livable and charming extension of her home – a space she says her family utilizes almost daily. See how she got creative with pieces from a variety of places. Amy explained that she and her husband made the shelves from doors she found at a thrift shop. 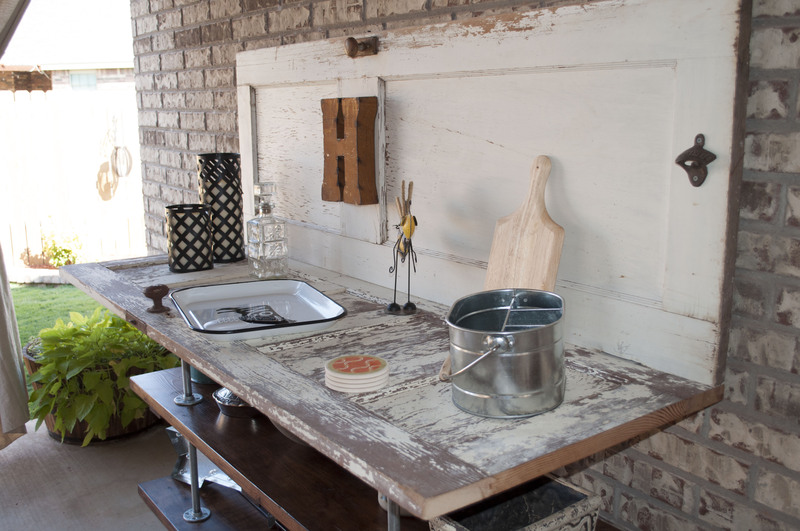 They used galvanized pipe and additional pieces of wood to create this custom piece. The decor on the shelves is from several stores, including Target. All the candles and signs are battery-powered which eliminates cords and lends simplicity. 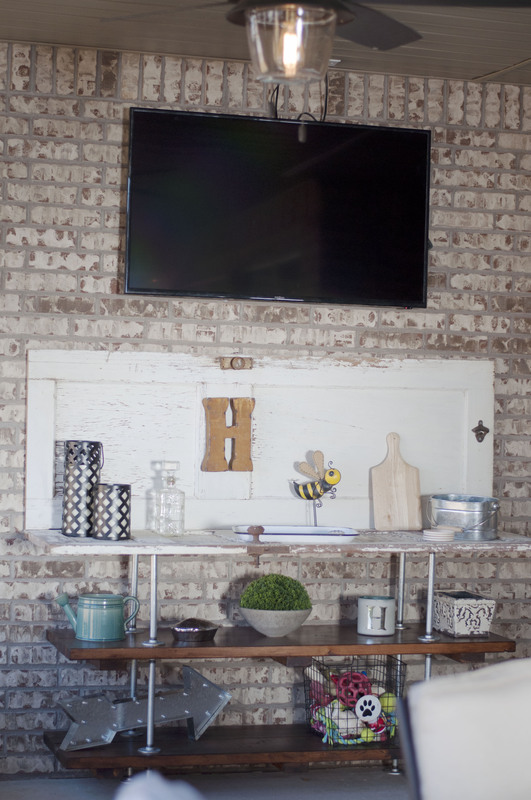 Two doors give the shelves a weathered and vintage look. Amy found an inexpensive way to incorporate low maintenance and outdoor-friendly curtains. These are paint drop cloths that she purchased for about $12 a piece! 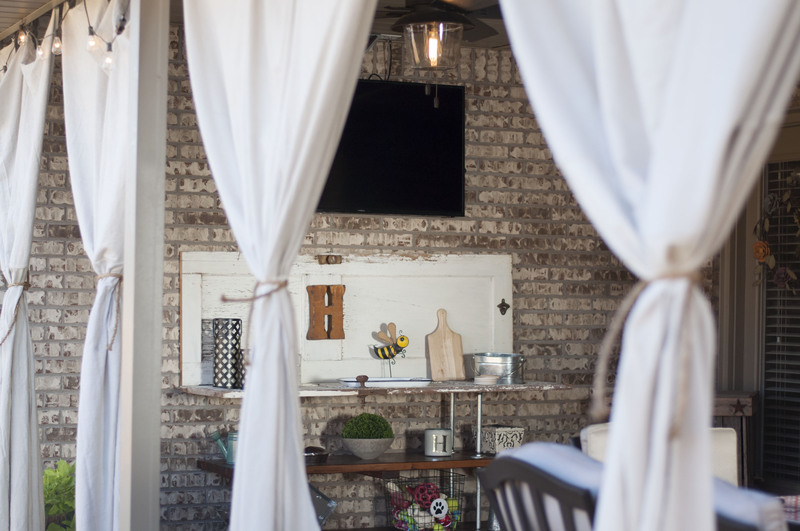 Amy and her husband, Scott, did an amazing job on their porch and we can’t wait to incorporate some of these ideas in our own homes! How have you personalized your porch? Let us know! If you’d like for your Betenbough home to be considered for a blog post, email photos of your home to social@betenbough.com.